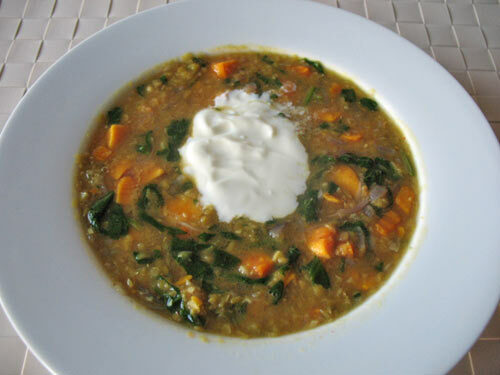 If you are looking for a very simple red lentil and carrot soup recipe, this is it. This recipe uses the minimal ingredients and although I’ve added some red pepper to it, this is optional (it’s actually probably better to skip this option). This is a vegan recipe but you could add a dollop of natural yogurt at the end, if desired. I love making red lentil and carrot soup since it’s so easy to make and does not require much effort. You simply chop all the required vegetables (not many! ), wash red lentils and after you’ve sauteed onions and added red lentils and carrots to the saucepan, there is not much for you to do. You let it cook and then check on the soup a few times to make sure it’s not sticking. You add some water when/if needed. Red lentils cook really quickly so this soup is perfect to make when you don’t have too much time on your hands. 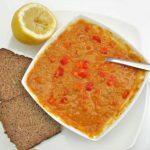 Red lentil and carrot soup is a healthy and filling lunch or dinner which can easily be made the day before. The soup shouldn’t take more than 40 minutes to make altogether (including preparation time). Don’t forget to add the lemon juice at the end as this will make this vegetarian soup even more delicious and it’s essential for better absorption of iron into your body. You can also blend it a little bit with a hand blender so that all the flavours come together even more. The soup can make a nice meal on its own when you add some healthy bread to it and a side salad. Chop the onion and garlic and keep them separate. Cut the carrot in thin slices and then cut these in half or quarters. Add the coconut oil (or rapeseed oil) to a saucepan and heat it up. Gently fry the chopped onion on medium heat for a couple of minutes, until soft. Add chopped garlic and cook it very briefly. Add some water if it's sticking to the pan. Wash red split lentils and add them to the saucepan. At the same time add the chopped carrot. Add the vegetable stock (or water and vegetable stock cube). Finally, add all the spices: turmeric, sweet red paprika and ground cumin. Leave it to cook for about 20 minutes. In the end, if the soup looks too thick, add more water. If you want to thicken it, use a spoon of cornflour mixed with a little water. Serve the soup with some lemon juice. This is an essential ingredient! It makes soup tastes amazing and it helps iron from lentils to absorb better into the body. 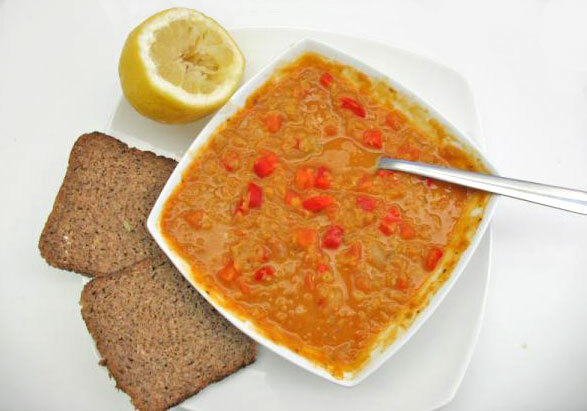 You can also have this red lentil and carrot soup with a piece of a brown toast if you like. I vary this red lentil and carrot soup by adding other vegetables sometimes. In the picture above you can see red peppers in it. I've also tried adding mushrooms before which is ok (but not my favourite) and I have also tried with celery which is not too bad. 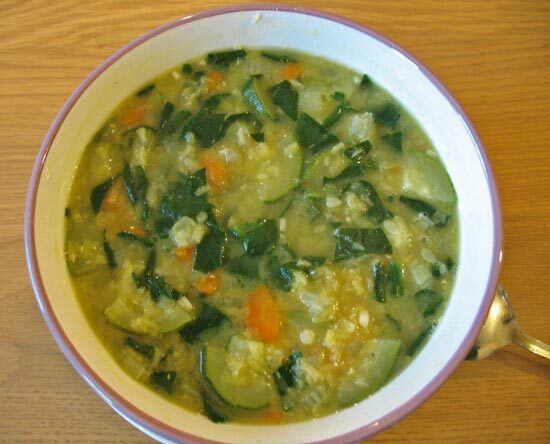 You can experiment by adding other vegetables if you like and see if it improves the soup. You may even add some potatoes. 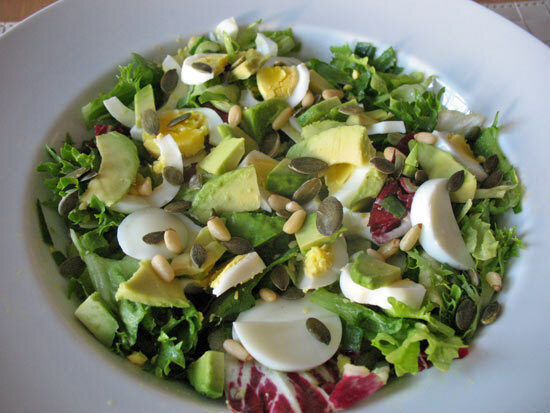 Thanks for sharing another recipe to love!